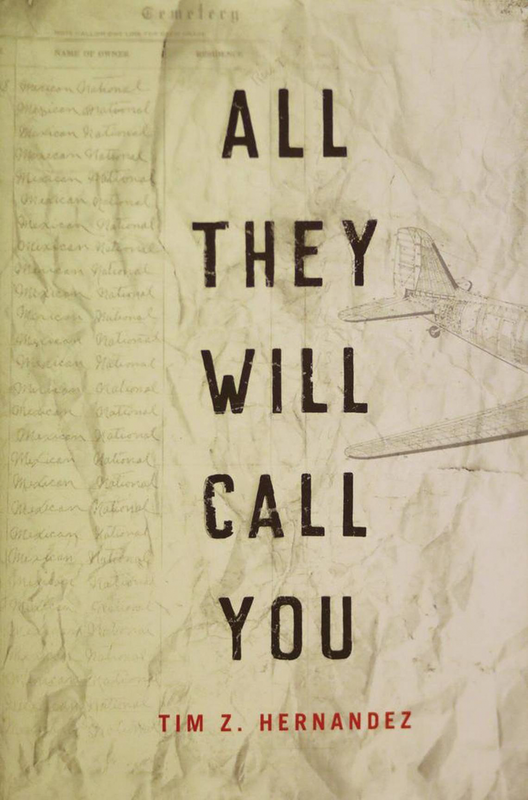 TULARE COUNTY – “All They Will Call You” is the harrowing account of “the worst airplane disaster in California’s history,” which claimed the lives of 32 passengers, including 28 Mexican citizens—farmworkers who were being deported by the U.S. government. Outraged that media reports omitted only the names of the Mexican passengers, American folk icon Woody Guthrie penned a poem that went on to become one of the most important protest songs of the 20th Century, “Plane Wreck at Los Gatos (Deportee).” It was an attempt to restore the dignity of the anonymous lives whose unidentified remains were buried in an unmarked mass grave in California’s Central Valley. 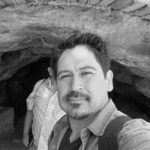 Combining years of painstaking investigative research and masterful storytelling, award-winning author Tim Z. Hernandez, a Tulare County native, weaves a captivating narrative from testimony, historical records, and eyewitness accounts, reconstructing the incident and the lives behind the legendary song. This singularly original account pushes narrative boundaries, while challenging perceptions of what it means to be an immigrant in America, but more importantly, it renders intimate portraits of the individual souls who, despite social status, race, or nationality, shared a common fate one frigid morning in January 1948. Released in January by University of Arizona Press, Hernandez’s book is the featured Book of Action for the Tulare County Library Book Festival, which will be held from 10 a.m. to 3 p.m. on Saturday, April 14 at the Visalia Branch at 200 W. Oak Ave. Hernandez will also be signing a free copy of his book during one of three book club meetings on the following dates and times: 6 p.m. on Thursday, April 5 at the Visalia Branch Library; 4 p.m. on Thursday, April 19 at the Dinuba Branch Library; and 7 p.m. on Thursday, April 28 at the Exeter Branch Library. “All They Will Call You” is one of two featured titles in the Library’s Book to Action book clubs. In March Tulare County Library featured actress Diane Guerrero’s book “In the Country That I Love.” When she was 14 years old, her parents, who were undocumented, were taken for deportation while she was at school. The book tells how she overcame many obstacles to become the extraordinary woman she is today. Book to Action is a program through the California Center for the Book that combines book clubs and community action. In addition to reading the book and participating in discussions, members will be asked to assist with workshops on the path to citizenship offered by the United States Immigration and Citizenship Service (USCIS) at seven Library Branch locations, including Dinuba, Farmersville, Strathmore, Lindsay, Woodlake, Exeter, and Earlimart. Contact your local branch for more information. California Center for the Book is a program of the California Library Association, supported in whole or in part by the U.S. Institute of Museum and Library Services under the provisions of the Library Services and Technology Act, administered in California by the State Librarian. The Tulare County Library Book Festival is held on Saturday, April 14, 2018 from 10 a.m. to 3 p.m. at the Visalia Branch at 200 W. Oak Ave. The Festival is a partnership with Leadership Visalia, Tulare County Library Foundation, and the Library, sponsored by First Five Tulare County, ImagineU, and Kiwanis West Visalia. The Tulare County Library serves all the citizens of Tulare County with locations in seventeen communities, four book machines, two adult literacy centers, and online at www.tularecountylibrary.org. Like the Library on Facebook www.facebook.com/tularecountylibrary or follow on Twitter twitter.com/TulareCountyLib. The Tulare County Library Foundation, a 501(c)3, helps ensure the success of the Library with financial support through community fundraising, including working toward a million dollar endowment to ensure regular funding for the future. Leadership Visalia is a program of the Visalia Chamber of Commerce. The program is offered as a service to our participants and the broader Visalia community as an investment to ensure effective leadership in our workplaces, community organizations, and civic institutions.